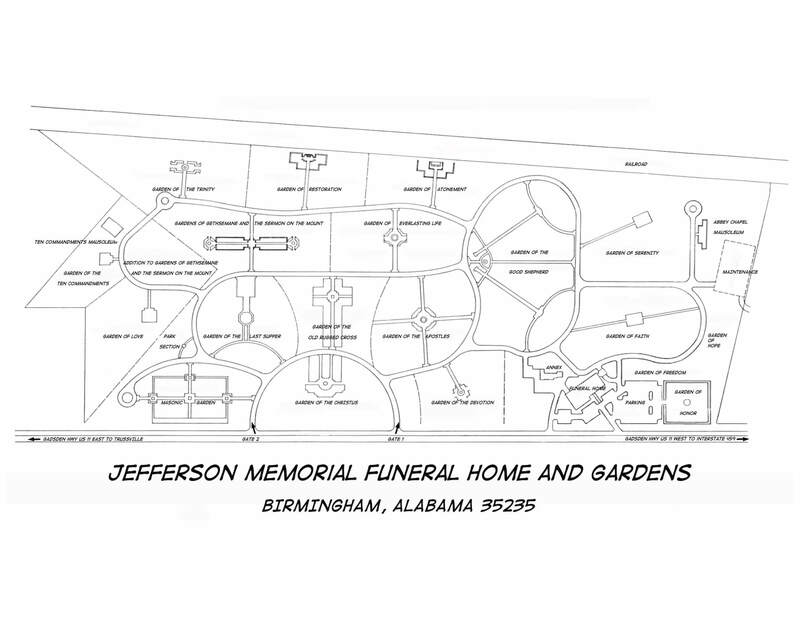 Cemetery Maps | Jefferson Memorial Funeral Home and Gardens | Trussville, Alabama's most trusted funeral home & cemetery. Then Click the image in the upper left corner of the map key to view the large map. If you click the directions button, you can enter your address and get turn by turn directions through the cemetery.